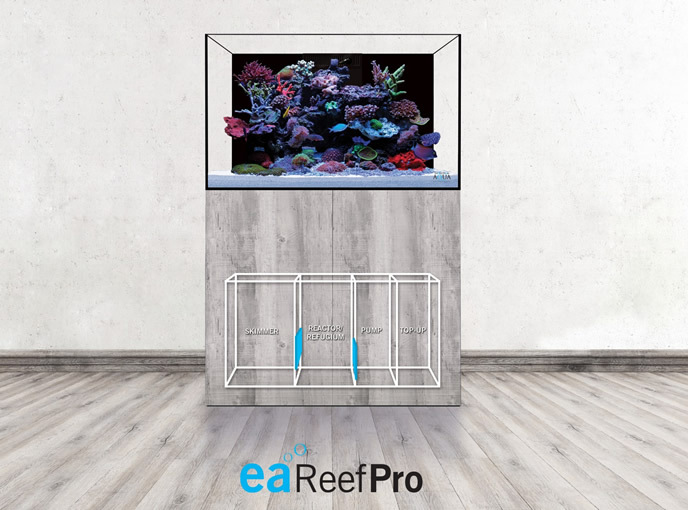 eaReefPro is a new range of 5 aquariums from Evolution Aqua, with an innovative new sump design featuring moveable baffle plates on 2 of the 4 chambers. 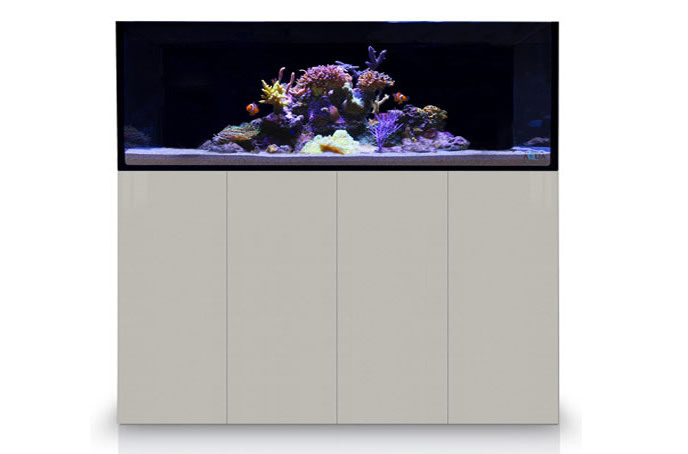 Marine keepers can now benefit from the same high quality aquariums and 16 contemporary cabinet finishes that are associated with eaReef, but now they can have a taller aquarium with a new central glass weir box, rigid pipework and an aquarium with a black background. 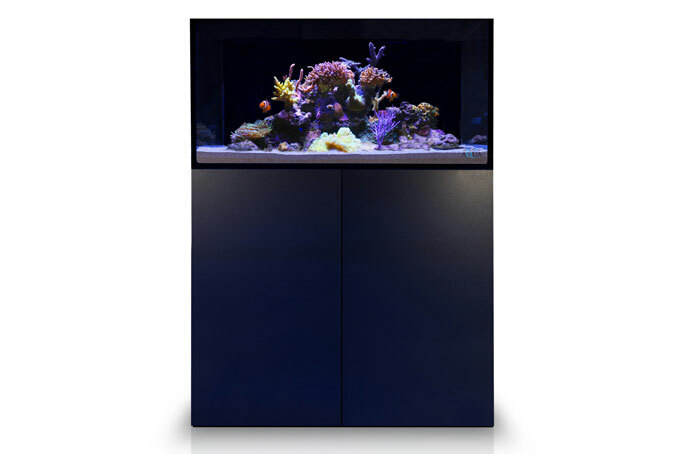 Five models make up the Evolution Aqua eaReefPro range – a 600mm cube as well as the 900mm long, 1200, 1500 and 1800mm. 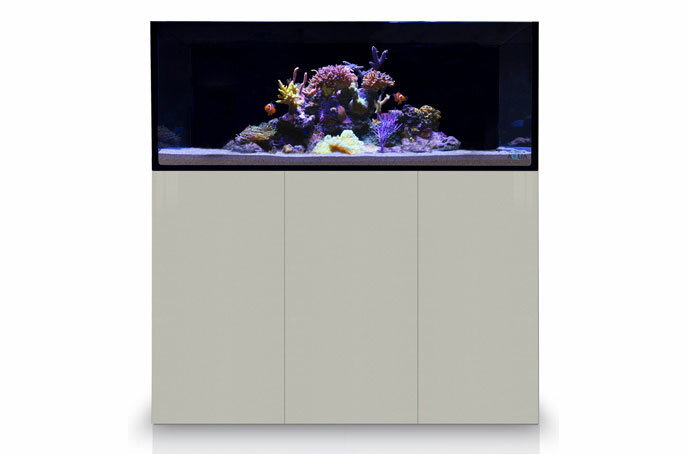 The 900S is 500mm front to back, while the 1200S, 1500S and 1800S are all 600mm front to back for enhanced surface area, and aquascaping opportunities. The 600S Cube has 10mm super white glass all round whilst the 900S has 12mm, the 1200S comes with 12mm sides and 15mm super white glass on the front. The larger 1500S comes with 15mm super white glass all round and the top of the range 1800S features 19mm super white glass for exceptional clarity. 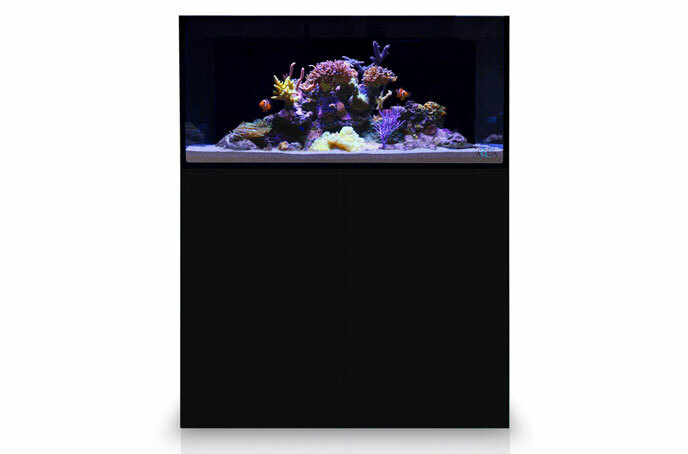 All aquariums come with black backgrounds as standard. 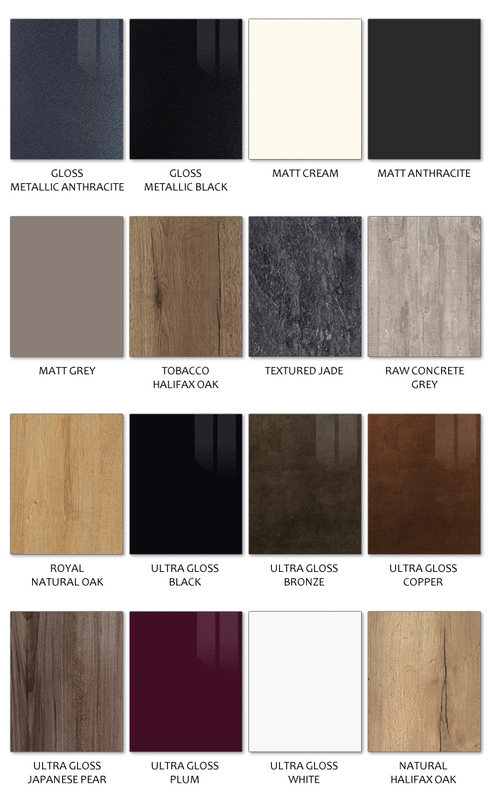 Life needn’t be so black and white with an eaReef cabinet, as every model is available in many different colours & textures. Soft close and push open doors are fitted as standard and every cabinet comes fully assembled for quick and trouble free set up. 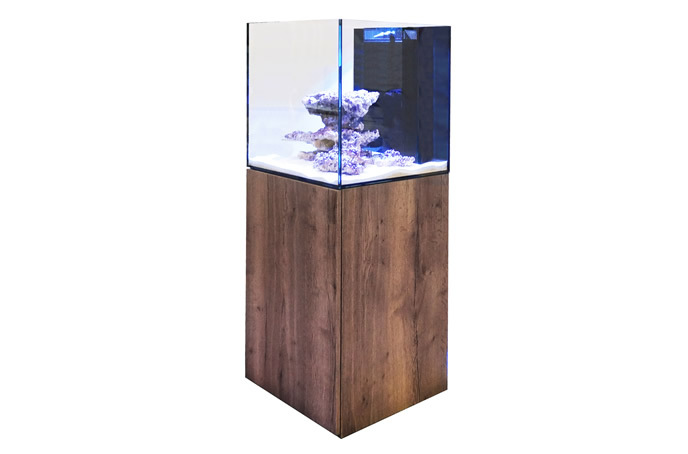 Every eaReef aquarium is hand built in the UK, fully water tested before leaving the facility, for extra peace of mind, and can be delivered directly to the hobbyist’s home.